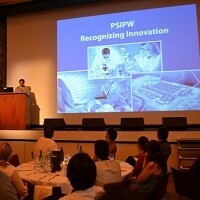 The Prince Sultan Bin Abdulaziz International Prize for Water was the gold sponsor at Micropol & Ecohazards 2013, which took place at the Swiss Federal Institute of Technology (ETH Zurich) from 16-20 June 2013. 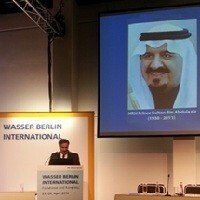 Wasser Berlin International 2013 took place from 23-26 April with the Arab Countries Water Utilities Association (ACWUA) as the event's official partner. ACWUA, in turn, partnered with PSIPW and the two organizations helped to establish this year's focus on the countries of the Middle East. PSIPW Council Chairman, HRH Prince Khalid bin Sultan bin Abdul Aziz, Deputy Defence Minister and Honorary President of the Arab Water Council gave a comprehensive statement at the opening session of the third meeting of the Assembly of the Council of Arab Water, which was held on February 26, 2013 in Nasr City, Cairo. PSIPW participated in the the Scientific and Technical Subcommittee of the Committee on the Peaceful Uses of Outer Space (COPUOS) at its fiftieth session, which took place from 11 -22 February 2013 at the United Nation Office at the Vienna International Center in the Austrian capital. 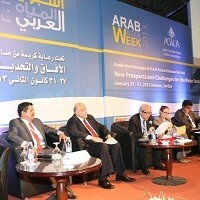 The Arab Water Week for 2013 was held in Amman, Jordan from 27-31 January 2013. 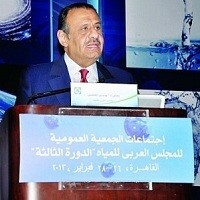 Conducted annually by the Arab Countries Water Utilities Association (ACWUA) in various Arab states, this year's theme was "New Prospects and Challenges for the Water Secror in the Arab Region".